Key difference: When one company takes over another and clearly establishes itself as the new owner of the company, the purchase is called an acquisition. A ‘merger’ happens when two firms, often about the same size, agree to operate and go forward as a single company, are said to merge together. Mergers and acquisitions happen when companies merge with other companies creating a bigger business or to buy another business/company. 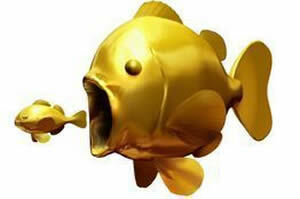 Businesses do this as a mean to gain a competitive advantage over their competitors. The difference lies in how the purchase is communicated to and received by the target company's board of directors, employees and shareholders. Although they are often used as though they were synonymous, the terms merger and acquisition are slightly different. Merger is considered to be a process when two or more companies come together to expand their business operations. In such cases, the deal is finalized on friendly terms, both the companies are treated as equal and share the profits equally in the newly created entity. The companies join forces in order to increase the strength of their assets, have a higher market value and consumer base, and ultimately make higher profits. The corporations are jointly owned and are registered as a new legal and different entity. An ‘acquisition’ occurs when one company or corporation takes control of another company and rules all its business operations. In this process of restructuring, one company overpowers the other company and the decision is mainly taken during downturns in the economy or during declining profit margins. Among the two, the one that is financially stronger and bigger in all ways 'establishes its power'. The combined operations then run under the name of the powerful entity who also takes over the existing stocks of the other company. Acquisitions are actions through which companies seek economies of scale, efficiencies and enhanced market visibility. However, they are often congenial, as all the parties are satisfied with the deal. Other times, the acquisitions are more hostile. Another type of acquisition is a reverse merger, a deal which enables a private company to get listed as a public company with tradable shares in a relatively short period of time. Regardless of their categories and structures, all mergers and acquisitions have one common goal, that is to create synergy. Synergy makes the value of the combined companies greater than the sum of the two parts. The success of a merger or acquisition depends on the synergy achieved. 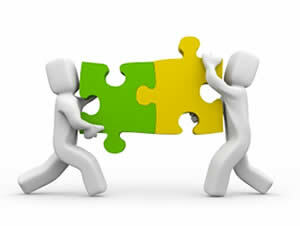 Merger is considered to be a process when two or more companies come together to expand their business operations. An acquisition occurs when one company or corporation takes control of another company and rules all its business operations. They are considered as amicable. They are considered as hostile. No new stocks are issued. The companies of same size join hands together. The larger companies acquire smaller companies. Both the companies are treated as equal. The company that is stronger gets the power. The two companies of same size combine to increase their strength and financial gains along with breaking the trade barriers. The two companies of different sizes come together to combat the challenges of downturn. A buyout agreement is known as a merger when both owners mutually decide to combine their business in the best interest of their firms. A buyout agreement is known as an acquisition when the agreement is hostile, or when the target firm is unwilling to be bought. Disney and Pixar merged together to collaborate easily and freely. Google acquired Android for $50 million in August 2005.